A typical day for a CDI specialist entails obtaining an assignment, whether it’s all payer or Medicare only, and determining the action course for the day. Best practice would be to perform follow ups on any previously queried charts to allow clinicians to have a second chance to respond prior to escalation. After doing due diligence on queries sent, sending a reminder on unanswered queries, and recording query responses received, the next course of action would be to prioritize your list of new reviews. Prioritization can mean many things to many people, and the specific health of your facility may dictate the order for your medical record reviews. For instance, maybe you have had an issue with central line associated infections, or hospital acquired wounds. This information may prompt you to establish a workflow that entails reviewing a list of patients with lines and another with patients having a low Braden score. Or perhaps your facility is an outlier for simple pneumonia or has a higher than expected a length of stay for a certain service. Your team might want to focus on these charts before the standard review of the rest of the charts. The CDI program administration may decide that rounding on the units is a worthwhile effort as opposed to isolated remote reviews, whether these are off site or in an office located within the facility. It may also decide that the number of charts seen remotely more than makes up for the lack of physical presence in a well-established and effective program. Each situation is uniquely specific to your facility’s needs. Nevertheless, CDI specialists will then want to perform the chart reviews as determined to be the most important to the least, based on your facilities service line. For example, if you have a cardiac surgery team and an orthopedic surgery team, your best bet might be to focus on the cardiac cases to ensure that the severity of illness and risk of mortality on this patient population is accurately captured, since this patient would typically be expected to have high scores in both categories, whereas a total knee elective admission would tend to be much less acute and offering much less value from a review standpoint. If, however, you tend to have only acute orthopedic admissions such as hip fractures and your cardiac surgeons refer out the patients requiring a CABG or other high-risk procedure, you may decide that the opposite would be true in your facility. CDI should never be designed in a cookie cutter approach if the goal is to have a strong and successful program. Every facility should also have a process in place for reviewing mortality cases retrospectively to ensure that the chart contains all of the information necessary for accurate coding, and this process can be done daily or less often based on your discharge data. If you have an inpatient hospice program, or if you have a palliative population, this subset of patients may be eliminated from needing your reviews in the interest of time, or you may decide that the reviews are still worthwhile from a quality and utilization of resources perspective. CDI has changed and evolved over the years into a specialty that can have a tremendous impact on a facilities’ quality scores, and the process of validation is one that also has an impact on these measures. 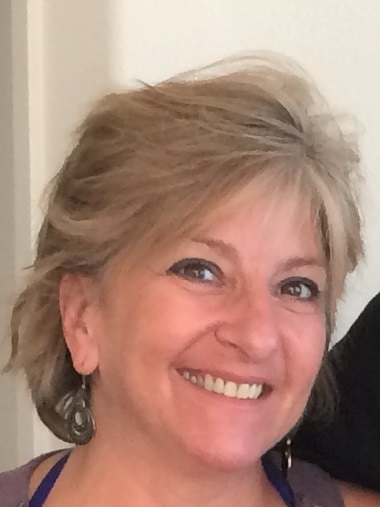 Editor’s Note: Cathy Farraher, RN, MBA, CCM, CCDS, is a care manager at UC San Diego Health in California, and previously served as a co-chair for the CDI Practice Guidelines Committee for ACDIS, and as a co-leader for the Massachusetts ACDIS local chapter. Contact her at catarrina@gmail.com. Opinions expressed do not necessarily reflect those of HCPro, ACDIS, or any of its subsidiaries.